Hey sweeties! Those of you who've already been snooping around this blog may know that the whole thing came to me as an idea while I started setting up my new filofax from scratch. 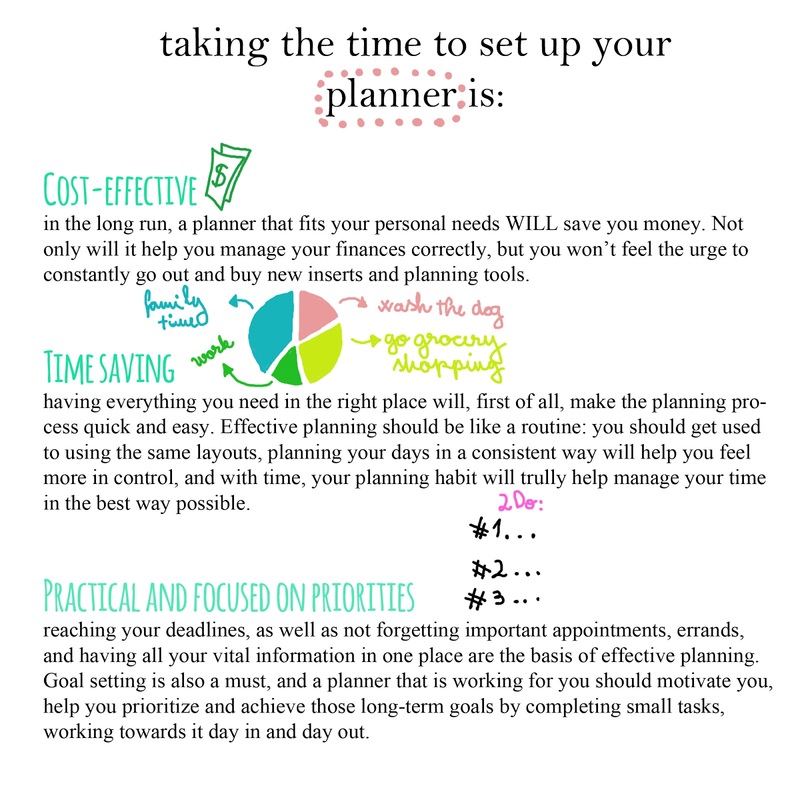 If you are a fellow planNERD (chances are, if you've visited this blog, that you are:), than you can maybe also relate to the feeling of complete anxiousness when you haven't got a planner set up, or aren't using one because it is not the way you would want it to be. When I first got my brand new Saffiano, I couldn't wait to start setting it up, and although the system and designs of my last planner (a faux filofax) used to work for me, I stopped for a minute to think - do I really want this? Or am I going to change the whole thing again in a month?